Presently Christopher A.Williams, M.D., is the Division Chief of Ophthalmology and on the Active Staff at Crozer Chester Medical Center in Upland, Pennsylvania. He also is currently an Attending Physician/Surgeon on the active teaching staff at the renowned Wills Eye Hospital where he is also an attending Physician/Surgeon. 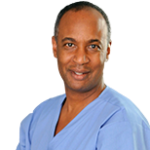 Dr. Williams has performed thousands of refractive procedures since joining TLC in 1995. Dr. Williams received his medical degree from the University of Iowa College of Medicine, USA. He completed his ophthalmology residency at Wills Eye Hospital in Philadelphia, Pennsylvania, USA. Dr. Williams himself specializes in LASIK (Laser Refractive Surgery), small incision cataract surgery, and glaucoma surgery. He has performed many LASIK procedures including Hyperopic LASIK. He has performed surgery on individuals, such as the artist Mr. Andrew Wyeth and U.S. Congressman, Kurt Weldon. Dr. Williams continues to chair the online education committee for the American Academy of Ophthalmology. Dr.Williams is the CMO of New Image Cosmetic & Refractive Surgery Center that includes Ophthalmic Surgical Associates Inc., a physicians group consisting of thirteen ophthalmologists, optometrists, opticians and subspecialists. Dr.Williams’ team of eyecare professionals provides both routine family eye care and subspecialty care including a cornea specialist.